We get it. Your weeks are full–whether you’re home with the kids holding down the fort or holding down a 40+ hour job (or both!). And then of course, there are the weekends, packed with fun in the sun (hopefully), dinner out, workouts, and maybe a few time-outs. 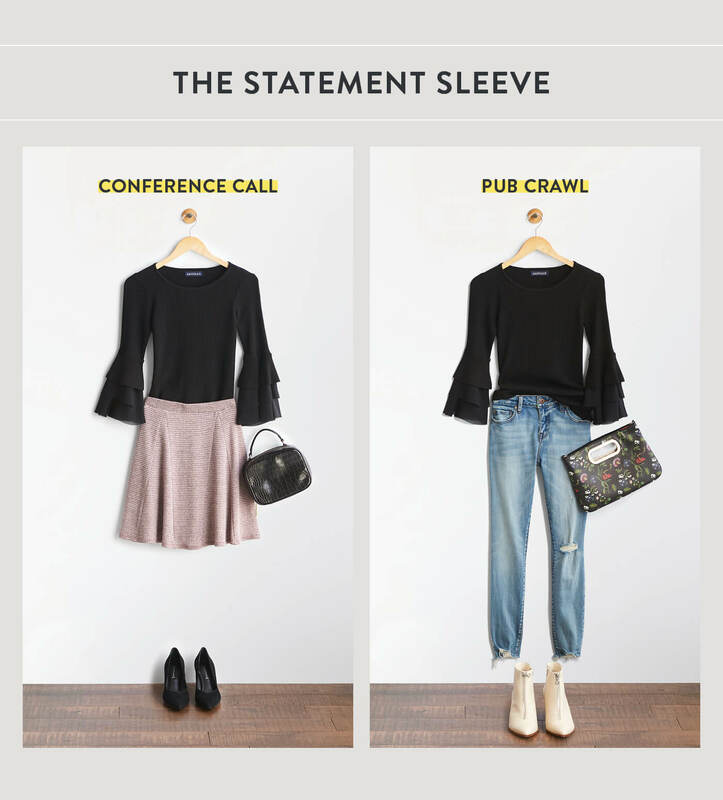 Who has the energy to put together great outfits that work all week (and weekend) long this fall? We do! 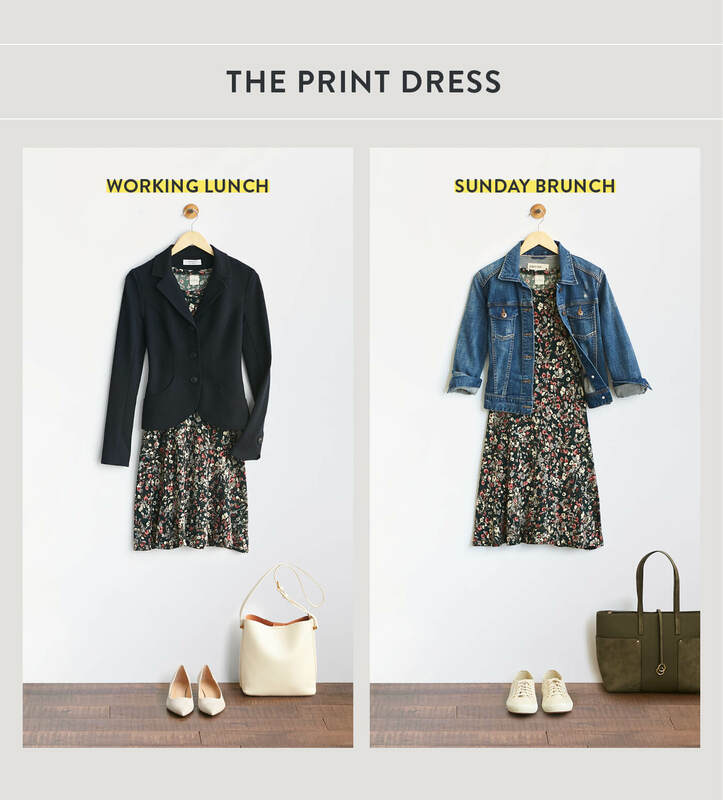 See how you can go from weekdays to weekends with a few key pieces. 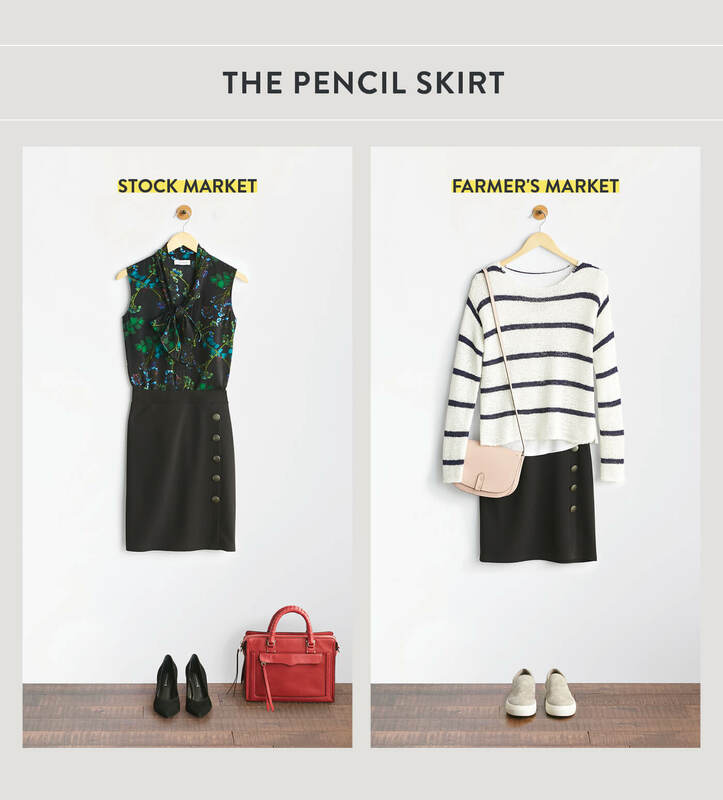 Designed by Christian Dior in 1954, the pencil skirt has become the ubiquitous workwear staple. Pair this classic piece with a conservative blouse this fall, add pumps and a tote, and you’re office-ready. Swap the top for a slouchy sweater, comfy flats, a crossbody bag, and take it out for a stroll. Wake up your workday wardrobe. We love a flared skirt paired with an equally feminine statement sleeve sweater. Add a chic purse and pumps to complete the look. After work hours, dress it down with distressed denim, cute booties and a sleek clutch to style it into the new season. Make a splash with a colorful denim or a chino pant. Use neutral hues (yes animal prints are considered a neutral!) to strike a tonal balance. Black and white plays well with red. When it’s time to call it a day and start your night, switch out a more tailored blazer for a modern moto jacket. You can’t go wrong with the right dress. We love a fun print in a flattering cut. 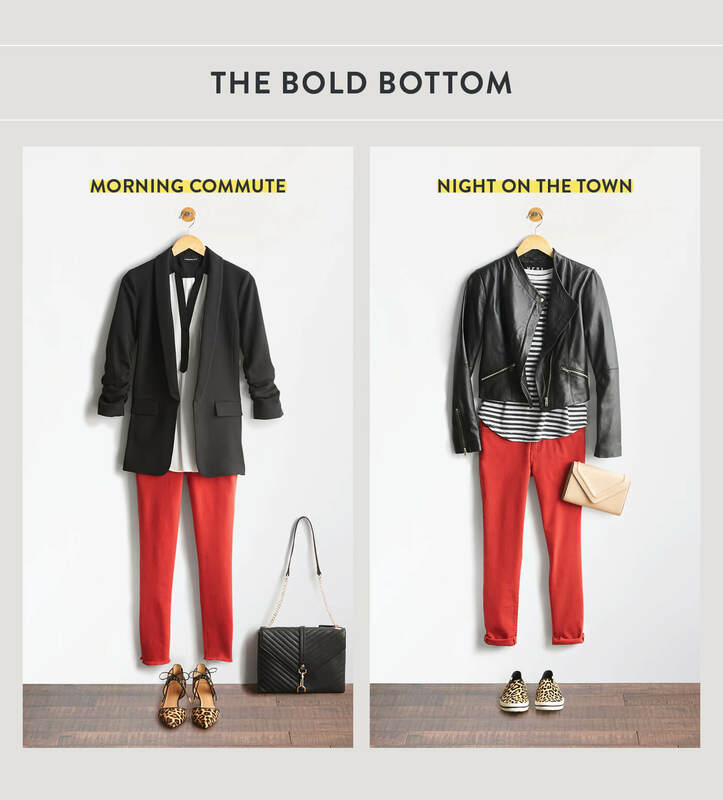 Layer a blazer to look buttoned up for work or a denim jacket to take the chill off your out-of-the-office adventures. Swap pointed pumps for lace-up sneaks for a kick-back, casual weekend vibe. 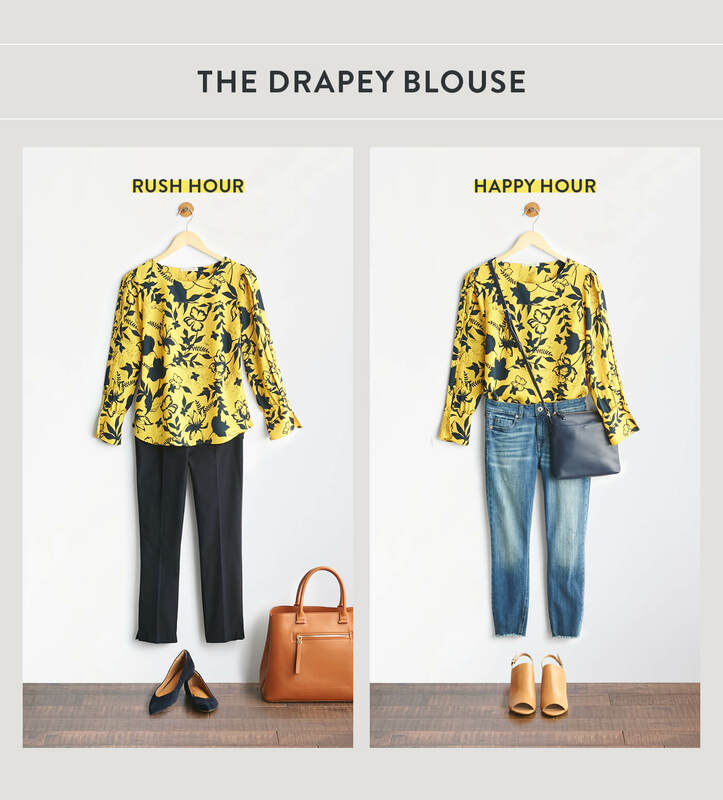 Worn loose over dress pants for work or tucked neatly into your favorite pair of well-loved jeans, the drapey blouse is a versatile favorite. We love how accessories–a roomy tote and practical ballet flats or a hip crossbody bag and peep-toe mules–can pull the whole look together. Similar in structure to pajama bottoms, this style is anything but sleepy. Especially when dressed up or down with a top that keeps the look streamlined for work; more relaxed for play. If you want to stay in a more monochromatic palette, we recommend jazzing it up with pops of color. Ready for new staples to take you from week to weekend in a snap? 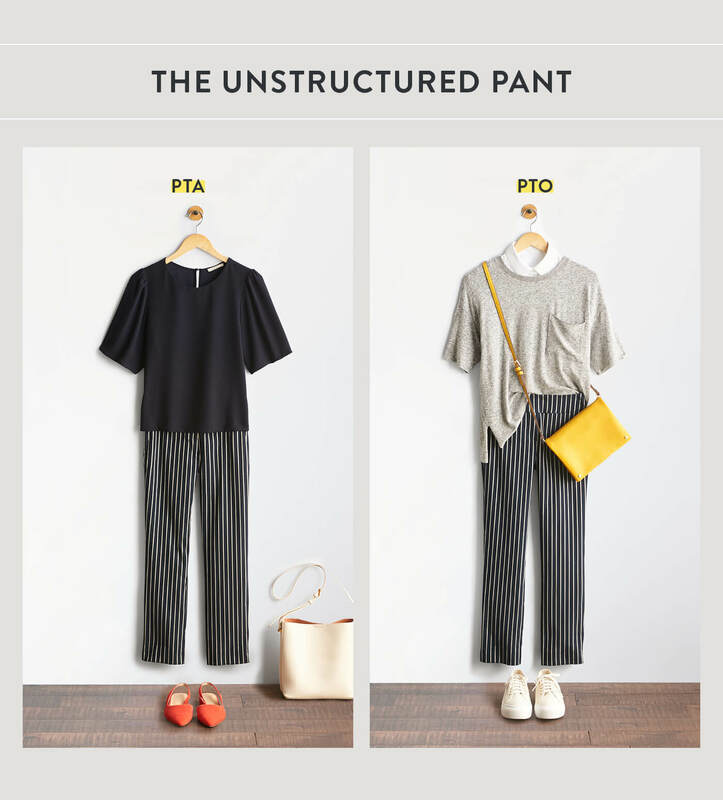 Schedule a Fix and let us know which of these pieces you want to see your Stylist send!